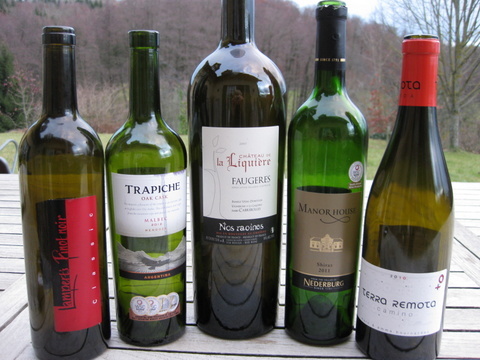 Over the hols we scored some cracking sparklers and whites but there was no shortage of toothsome reds either. It’s been an unusually (for us) carnivorous few days, so meaty reds were required. Direct democracy ruled when it came to choosing the Christmas menu and the popular vote went to a rib of roast beef with potatoes done in duck fat and a gorgeous mix of butternut and red onions with tahini. If ever there’s a moment for a magnum, it must be Christmas. Cue for a big bottle of Château La Liquière Nos Racines 2011, from an old-established Faugères estate that we were introduced to (thanks, Lits!) on our way back from Spain last summer’s end. Made from grapes harvested from gnarled old Carignan vines, some of them planted in 1900, it’s a big, broad-shouldered but elegant wine …of which it’s now clear that we didn’t buy nearly enough, damnit. A leg of lamb pinkly roasted in the Weber brought forth a couple of Empordá goodies unearthed on a recent recce for a wine travel article about this northern Catalan region for Decanter (March publication). 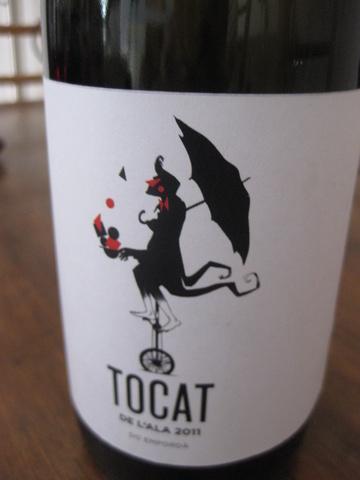 First a Tocat de l’Ala, a juicy-fruit 60/40 Garnatxa/Carinyena blend made jointly by Montsant-based Coca y Fitó and Empordá-based Roig Parals that goes for around €9 – love the crazy label (tocat de l’ala is Catalan for ‘touched in the head’) of a nonchalant, barefoot, unicycling fellow in flowing tailcoat sporting an umbrella; the contents aren’t half bad either. Then a Camino 2011, a Syrah/Cab. Sauvignon/Garnatxa/Tempranillo blend from the spanking new, ambitious Terra Remota winery owned and run by a French couple – French winemaking flair + Spanish flavour and temperament and at ca. €15, excellent value for money. Shepherd’s Pie from the leftovers was just the thing for an uncomplicated, well-made Manor House Shiraz from the much lauded Nederburg estate – South Africa, natch, but we found it at good old Hieber, our go-to source of carefully chosen international wines at reasonable prices . Hieber also furnished a Malbec from Trapiche (Argentina) – another decent mid-range drop from a large, well-known estate with a huge selection. Both wines cost €9. If only our French supermarkets would graduate beyond the lower reaches of Jacob’s Creek and [yellow tail] for their ‘international selection’. And let’s hear it finally for a Swiss red, in this case a Pinot Noir Classic from Hanspeter Lampert of Weingut Heidelberg in Maienfeld in Graubünden (CHF17.50 from their cellars). 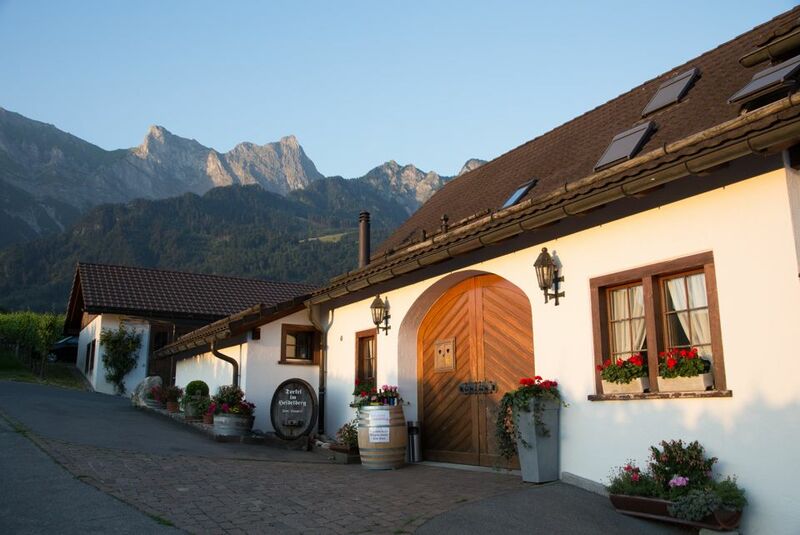 We visited in late October sunshine after I met Hanspeter at the Grand Prix des Vins Suisses in Bern, where his wine was shortlisted (but not the winner). Wonderful with a selection of fine Swiss farmhouse cheeses, including an oozy Tomme de Fleurette and a mild but characterful Vacherin Fribourgeois – a serially underrated cheese. Wonderful time out there with Spaanse Wijnen (Spanish Wine)! Enjoy the red beauty with red meat. It seems to be a perfect holiday celebration.